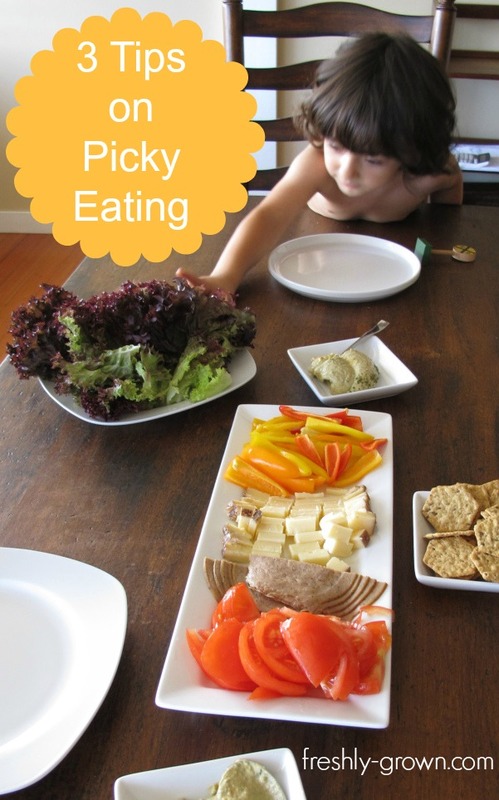 Hundreds of articles have been written on the topic of picky eating, including all of the reasons why this happens in kids. From putting the responsibility solely on parents to proposing picky eating is genetic or even a medical condition that should be covered by insurance, it’s all out there. I am not a doctor, psychologist or theorist as to why kids only want to eat certain foods and not others, but I can tell you as a mom of a 3 1/2 year-old what has worked for me to curb picky eating. The first thing I’ve learned in ‘adventures of getting your kid to eat healthy’ is that it is up to us as caretakers to develop our children’s palates. Doing so sets them up to eat healthy for life. *WebMD, posted an article on the subject, Nurturing a Preschooler’s Palate. Childhood obesity expert Dr. David Ludwig makes it clear why we must work with our kids to expand their tastes for a wide variety of whole foods with vegetables and fruit as the foundation, which are critical for a child’s development. Keith Ayoob, a pediatric nutritionist at Albert Einstein Medical Center in NYC backs this. Expanding your child’s taste buds doesn’t happen overnight, especially if they are not used to raw veggies or the color of the rainbow that comes out of a garden. Expect a potential rebellion, but don’t give up! The second thing I’ve learned is that it can take 15 to 20 times of exposing the same food to a child before he or she will eat it. Trust me, J hated raw carrots when I first introduced them to him. He was fine with carrots in baby food form, but the first time I gave him a raw carrot when he was old enough to chew it, he spit it out instantly and gave me that famous, ‘Really? You thought I would like this’ look. But sure enough as I kept at it and continued to place those bright, orange carrots on his plate next to whatever else he was having, he began to eat them. In fact, now that I remember, I showed him a YouTube video of a rabbit going to town on a carrot and then we pretended to act like rabbits eating carrots as fast as we could. Hey, whatever works! Get creative, always keep food interesting and try, try again even if it takes 20+ times. This goes for older kids, too. The third thing that has worked for us (and this one is huge) is to get your child connected to the food process. 3 easy ways to do this: start a small garden, get your kiddos in the kitchen and expose your kids to farms and farmer’s markets. The garden part: By ‘start a small garden’ I literally mean take your kids on a date to a store/nursery, buy a couple of clay pots together, organic dirt and herbs that are already growing. Let your child pick out which herbs to plant. Have you seen the Trader Joe’s basil plants? You don’t even have to buy dirt with those, although you might want to double check if they are organic. Then, take everything home and plant your small garden together (tip: it helps if they have their own kid-sized shovel). Have your child water the herbs when necessary and depending on your child’s age, make your plants accessible so he/she can pull the edible leaves off to eat anytime. We have some herbs (basil, parsley and mint) planted in pots right outside of our back patio and in our small garden and numerous times J has come in from playing with parsley leaves half out of his mouth because he’s chewing on them. The kitchen part: Usually, my first response is to have J out of the kitchen while I cook, for efficiency and time’s sake, BUT, I started being more intentional about having him in the kitchen with me and I have him join when I know I can take a little longer for meals. He loves to be a part of the process of creating food concoctions and recipes and it’s awesome as a mom to watch him turn into a little chef maker as he calls it (I think he got that one from Blues Clues). He helps me juice, scramble eggs, make GF muffins and ‘chop’ veggies with his kid-friendly knife. Just recently, he helped me with every single part of the meal below with fabulous success, and then came the best part, he ate all of it!! The farm part: Take your kids on some farm dates. When in season, a local farmer’s market is great because you usually don’t have to travel too far and your kids can taste the wonderful food and produce of your local farmers. To find your local farmer’s market, check out LocalHarvest and simply enter your location. Become friends with a farmer. Take a visit to a farm and let your kids experience farm life for a a few hours or a whole day and then keep going back. It never gets old and kids love it. Having my little guy connect to food from the farm to the table has really fostered his interest and involvement in food in general; I find him trying things that surprise me for his age. He is an active participant in what he eats and he knows where it comes from and I think that has given him a better appreciation for the creation and taste of food overall. These are some of the things I have learned about kids and food and what has worked for us so far. I only hope to learn more as I venture forth with my little guy. And Parents, don’t feel bad if you’ve given into what experts call the beige-colored, American kid diet because you believe that is all your children will eat. Allow them to prove you wrong. They will, if given the right opportunity! A great resource about children’s nutrition + picky eating tips + recipes from Happy Family Organic Superfoods can be found here. Helm, Janet. June 2012. 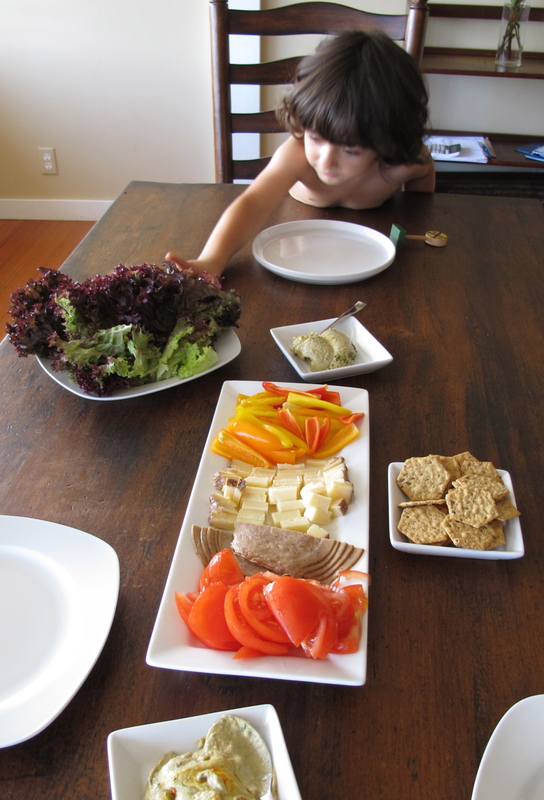 Nurturing a Preschooler’s Palate. WebMD: Real Life Nutrition. Layton, Julia. How to Develop a Child’s Palate. Great post, best one yet.